I fell in love with poffertjes in Holland (during my misspent – I’d argue well spent – youth). Poffertjes are miniature pancakes. You will need to buy yourself a poffertjes pan, but it’s really worth the investment. Alternatively, you can buy them ready made from Lidl (a dutch food shop) and just heat through in a normal pan. Fresh is far better though. What are poffertjes? Miniature pancakes which the dutch serve in a heap with castor sugar and a knob of butter. Have these as a desert or breakfast(for breakfast, substitute maple syrup as a topping). 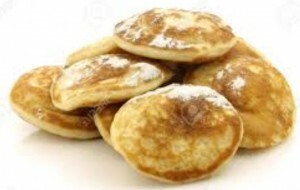 Poffitjes are normally made with buckwheat flower, but when camping you may not wish to carry around all the ingredients (including eggs which aren’t fun when they crack in your rucksack) and opt for a ready made pancake mix instead. Check the label on these mixes as some need you to add eggs and milk. The Betty Crocker brand contains powdered egg and milk and is ideal, meaning all you have to add is water. Don’t forget the butter, castor sugar or maple syrup. For easy carrying, put the dry ingredients in freezer bags (making a note of how much water to add to the pancake mix) and the maple syrup in a smaller plastic bottle. 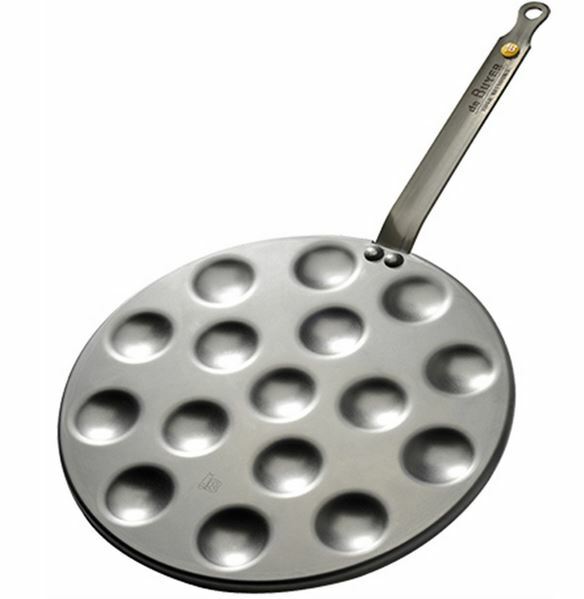 The special pan isn’t a necessity (but does give you perfect little pancakes and you can cook 15 at a time). If packing light is important just your normal camp frying pan and pour dribbles of batter (or hell, make giant ones! ).